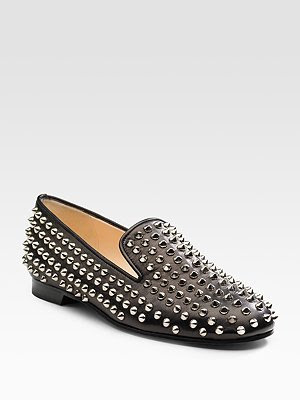 These studded loafers from Christian Louboutin originally retailed for $995 but are no longer available at Saks online. If you love the look but want to spend a lot less cash, check out these loafers from Aldo. They retail for a lower $80 and will give you a very similar style. They also come in white or beige, click on the image below to view or purchase.